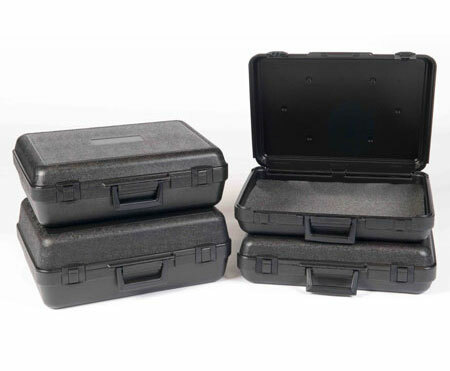 We have the largest plastic carrying cases selection available in the industry. We pair our large in-stock options with quality and excellent service. The cases listed here list the dimensions for 19.0 length cases. We manufacture cases using extrusion blow molding in-house. We can handle all aspects of production, including design and development. We offer custom options that include customization of the carrying cases and foam inserts. To find out more information and receive a quote for our in-stock plastic cases, contact us at 1-877-593-2182.